Yesterday I received an email from a reader that I just had to share with you. When you see the photos of Laurie Baker’s incredible paper mache centaur and Halloween pumpkins below, you’ll know why. I’m very happy that Lauri gave me permission to share her email with you. She has some tips for you, in addition to her photos of recent projects. Something that amazes me is that she started sculpting with paper mache as a way to help her stop smoking – and it worked! Hi there, gosh, I just saw the YouTube video of the paper mache elephant, that was spectacular!!!! I love how you made the pre-paper pattern!! I subscribed to your website here, I just started doing paper mache a few months ago when I wanted to quit smoking after 33yrs, so far I’ve been a paper maching fool lol!!! Saw some ideas about shop paper towels and thought I’d share my idea of baby wipes. I buy generic, they’re like 2.00 for 88 or so, you can use them wet if you don’t want to tear them or pull them out of the container, let air dry then they tear to have smaller pieces. These are fantastic in my opinion, they dry fast and hard and you don’t need as many layers of paper then. Sometimes I use a layer of brown grocery bags either before or on top of the baby wipes, they cover little tiny edges that are sticking up sometimes when the paper dries. Well just an idea I wanted to share with you…. 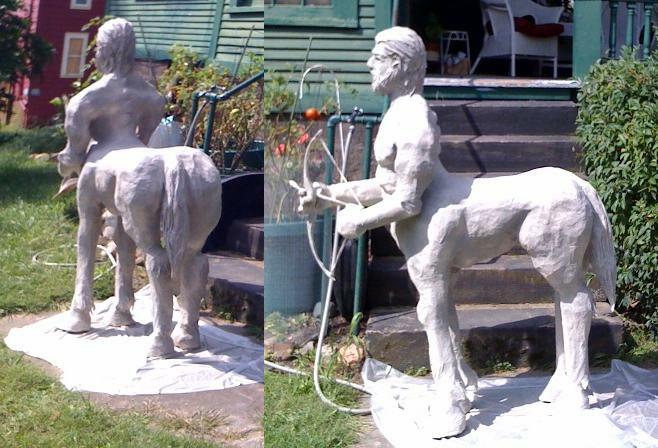 Here’s a few pics…a life size centaur that I painted with stone like spray paint so it looks just like a stone statue and pumpkins that we put lights in. The baby wipes are GREAT for hair, beards, tails, and also for the gnarly wood-looking pumpkin stems. I do use glue in my flour water mixture tho….not sure if it would work the same for just flour and water. I have 9 pumpkins now ( the biggest is aprox 30″ not including the stem ) 4 zombies, a giant frog, a gnome, life size werewolf/man, creepy huge arms with scary hands, and a life sized man I haven’t decided what to do with him yet. Of course, I have no idea how Laurie made the centaur or the pumpkins, but I hope she’ll check in once in a while so she can answer your questions. And thanks, Laurie – I’m so glad you shared your work with us! I would love to know what you are using for a form/shape to start the process for the Jack-o-lanterns… chicken wire maybe? At any rate I love them and have time and energy to create. 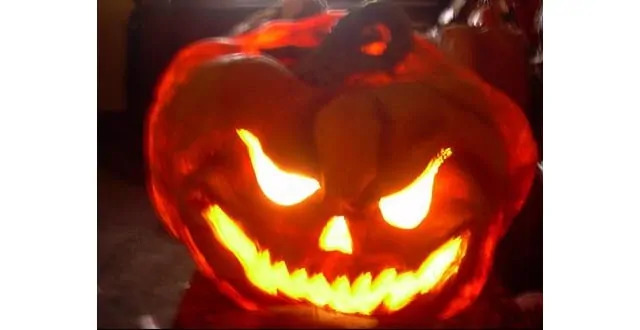 How do you make the pumpkins squished looking… Is this something you do while they are still kinda wet or is this something your do before you apply the paper mache with the bag? 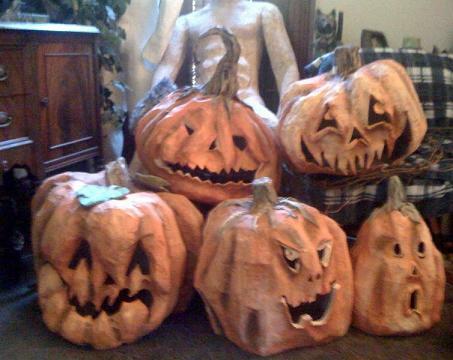 I am in Love with Laurie Baker’s pumpkins! I must have some! Can you please tell me where or if I can buy some of theses? Does she have a website or store or??? Laurie hasn’t given us a website address, so I don’t think she’s online. And I can’t give out my readers’ email addresses without their permission. Maybe she’s watching this post, and will let us know if she has any to sell. They are fabulous, aren’t they? Really like your pumpkins, they remind me of the pressed paper vintage type. I have an old tree , like a spooky hollow tree made out of pressed paper. 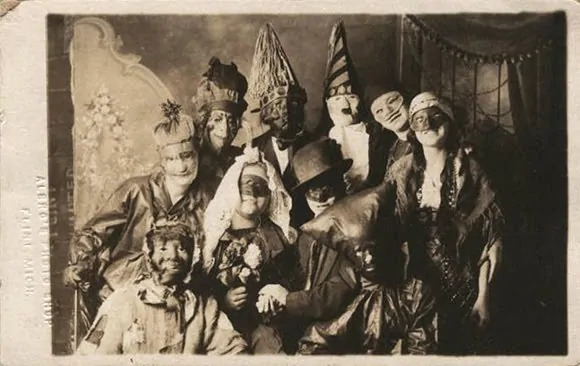 I may try and make something spooky for next year. Thanks for sharing your awesome stuff!!! 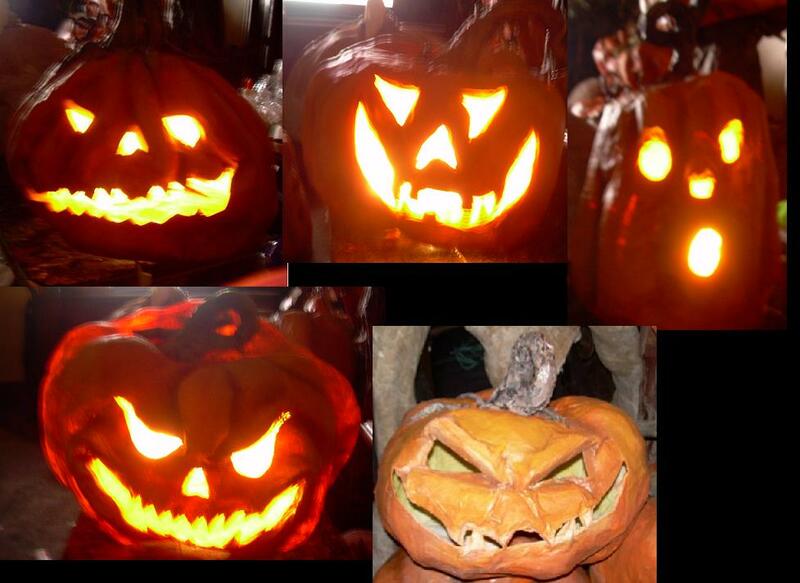 I just caught this weblog and the sculptures of Laurie Baker’s pumpkins and Zombies!! I adore her free-flowing style, and the fact that her Papier Mache pumpkins appear to move, rather than just stand still! I am interested in revisiting papier mache and paper pulp endeavors. I am an artist and have three young boys and I am only now getting to a place where I can carve out some creative time. I have gone to sites and looked on Pinterest for inspiration, and these sculptures, and Jonni’s blog have really inspired me, indeed! Jonni …..amazing work i love it ?????? stumbled upon these, and i am soooooo liking everything you guys do, great work- i am gonna give the pumpkins a try i think. Thanks so much for the how tos ? cant wait to get started!